In some specific situations, you may want to backup only one partition but still wish to boot it as a disk image. 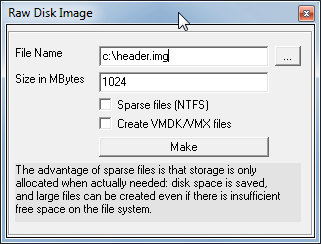 Lets see below how to turn a partition image into a disk image. Before we start, have a a look at the below disk layout to have a better understanding of items such as MBR, BS, Disk and Partition. Note : instead of 2048 sectors, you can go for 63 or 128 or whatever « sectors before » may suit you – just report that number in the following steps. (You need to untick « hide advanced menu » under tools menu to enable advanced screens in CloneDisk). 4.Inject boot code (nt6) (this will also fix the mbr magic byte AA55). systems, are organized on that medium. Besides that, the MBR contains executable code to function as an operating system-independent chain boot loader in conjunction with each partition’s Volume Boot Record. 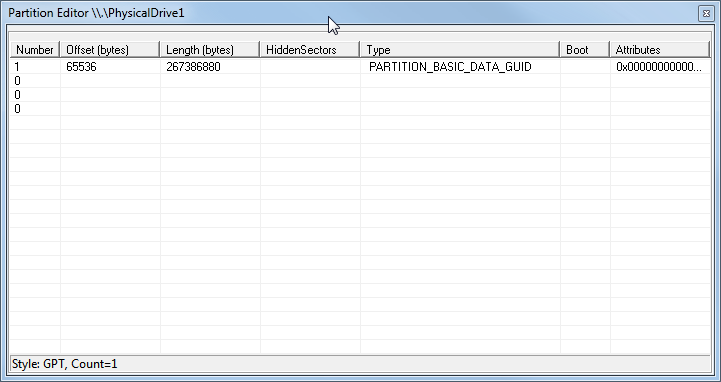 To make simpler, if a disk is a book, the mbr is the index table to quickly jump to each partitions. MBR and GPT are just 2 different ways of writing that index (GPT handles a higher number of partitions and also bigger partitions). So how to convert a GPT disk to MBR? 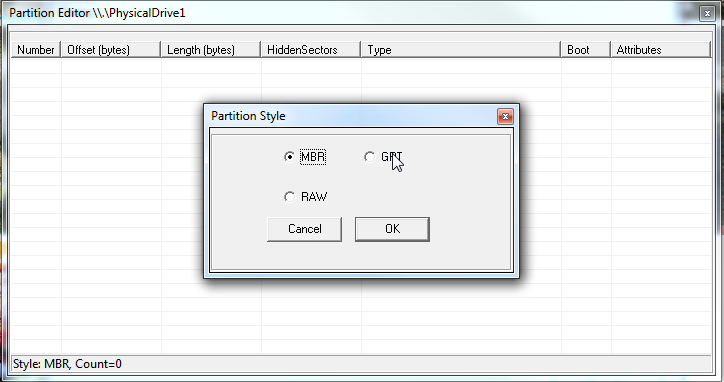 4.Create partition(s) with correct offset (most important) and length. Note that you can always correct these later by editing the MBR (advanced tools). 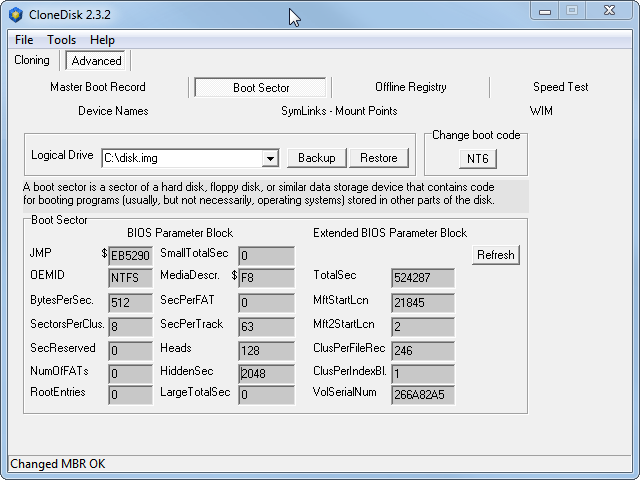 Choose IFS for a NTFS filesystem, or FAT32. You end up with a MBR disk with a partition table similar to the GPT you previously had. Note that you may want to inject a boot loader (nt6, g4d, etc) if this disk is a boot system one. Also, this operation works the other way : MBR to GPT.